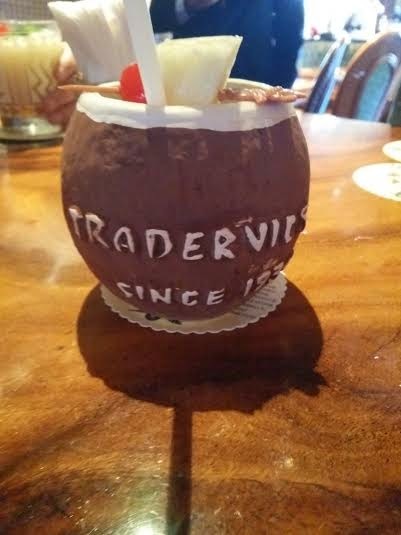 Last week saw the re-launch of lunch at Trader Vic's at the InterCon once more. Quite a few years ago (maybe 5?) Trader's closed it's doors to the lunch-time business crowd presumably because there was not a lot of business to be had at that time. For those who are interested, they've changed their minds and are now open for lunch again! Yay! Now, obviously having lunch at Trader Vic's (or anywhere like it) is not something that is going to appeal to everyone, but for some of you it might make a nice alternative. There are obviously the business lunch people who might want to opt for something a little more upmarket for lunch, but there's also a lot of people here who have visitors staying with them, or even people who are having some time off. Or shock horror, the ladies who lunch! There is a special lunch menu, and it's pricing is what you'd expect from Traders, but the food is always good (well it has been for me whenever I've gone). Pricing starts at RO 4 for the cheapest finger food and RO 12.5 for the most expensive main course, so there's a fair bit of flexibility there. The restaurant can be called on +968 2468 0000 for more information and reservations.